The difference between the peels we offer and the harsh chemical peels of the past, is that PCA Skin professional treatments are scientifically formulated to gently stimulate, firm and tighten skin. Advanced ingredients are carefully blended and work synergistically to remove dull, damaged surface layers without the downtime often associated with out-dated chemical peels like those made with glycolic acid that burn the skin. The purpose of the peels is not only to exfoliate but more importantly to increase the penetration and absorption of the active ingredients in both the professional treatments and daily care products to target troublesome skin conditions at the cellular level. we customize your peel to treat your skin concerns. Skin conditions addressed by peels include: Hyperpigmentation, sun damage, acne, melasma, sensitive skin, rosacea, and aging skin. Take the fear out of the words "chemical peel", as not all chemical peels are the same. Our chemical peels are NOT invasive like the peels received from a Dermatologist which go to your dermis causing irritating redness, oozing & skin to peel off in large sections which can be dangerous if you pick or peel it off and ofter require down time. PCA Chemical Peels DO NOT go down to your dermis, rather they slough your skin off slowly, over time, leaving you with hydrated, clear, and radiant looking skin. PCA methodology is a low dose approach, which means no down time. ❊ For best results, we recommend a series of at least 3-4 peels. Ultra Peel is ideal for dehydrated maturing skin. It is also great for pigment disorders, fine lines and wrinkles, smoker's skin and photo damaged skin. The final result will be plump, hydrated and luminous skin. Sensi Peel is for clients that want a gradual lightening, but instant tightening. This is perfect for sensitive skin types, ethnic skin, roacea, excemea and other extremely sensitive skin types. This treatment provides anti-inflammatory, anti-acne and antibacterial action helping to calm rosacea. 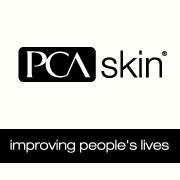 PCA Peel with Hydroquinone evens skin tone, lightens pigment discolorations and leaves skin firm and smooth. Also helps inhibit acne and correct post inflammatory hyperpigmentation from acne. Series of 3 Peels - Save $30 when purchasing a series.